HISTORY...Ephraim was founded in 1853. It is said that a Norwegian, Olie Larson lived on Eagle Island (now known as Horseshoe Island) encouraged Moravians in Norway to come and the settle the area. The name Ephraim comes from the Old Testament word meaning "doubly fruitful". PLACES TO VISIT...The storybook Village of Ephraim’s traditional white clapboard architecture and scenic shoreline capture the essence of Door County. A favorite safe harbor for boaters, Ephraim’s Eagle Harbor moors a variety of boats from small day sailors to lavish sailing yachts all summer long. On a typical day you’ll see dozens of small sailboats practicing their newly learned sailing techniques at the Ephraim Yacht Club Sailing School and if you’re lucky, you’ll catch site of the Ephraim Yacht Club’s annual race and regatta. 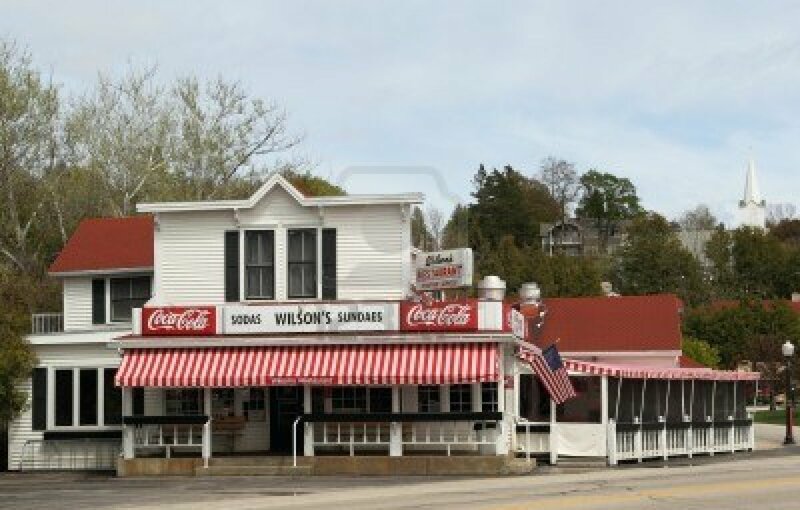 The historic Wilson’s Ice Creamery and Sandwich Shop is the highlight of Ephraim. Wilson’s is located smack dab in the middle of Ephraim…you can’t miss this white clapboard restaurant with its bright red and white striped awnings. You’ll find fantastic shops and art galleries throughout Ephraim. For a unique coffee experience, stop by Leroy’s in the Shorewood Village Shops and for breakfast, try Good Egg. Nothing fancy, just good food and you’ll eat on surf board tables outdoors. Ephraim also has one of the best bathing beaches you'll find in Door County! SEARCH DOOR COUNTY REAL ESTATE FOR SALE IN EPHRAIM!